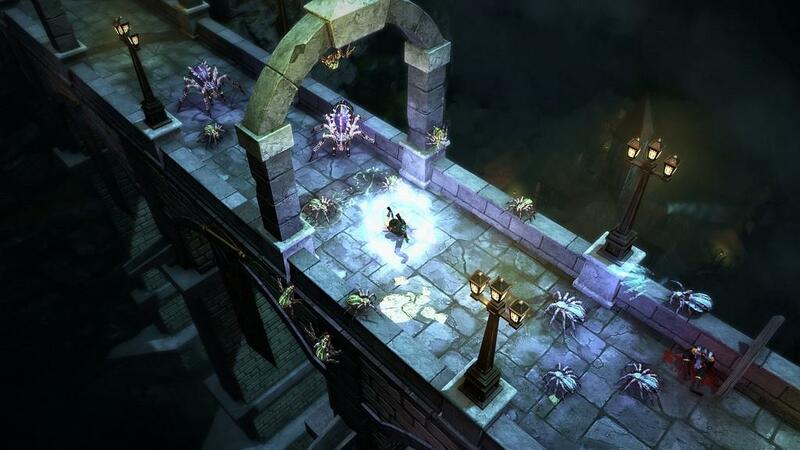 Victor Vran, from developer Haemimont Games, is an action role-playing game with entertaining gameplay elements that are a result of its bold design concepts. While the game begins slowly, it significantly improves as players level their characters and gain new abilities. It's not until players unlock all the gameplay basics that the game truly shines with its attempts at new concepts for the genre, such as a hex system to increase difficulty in levels. 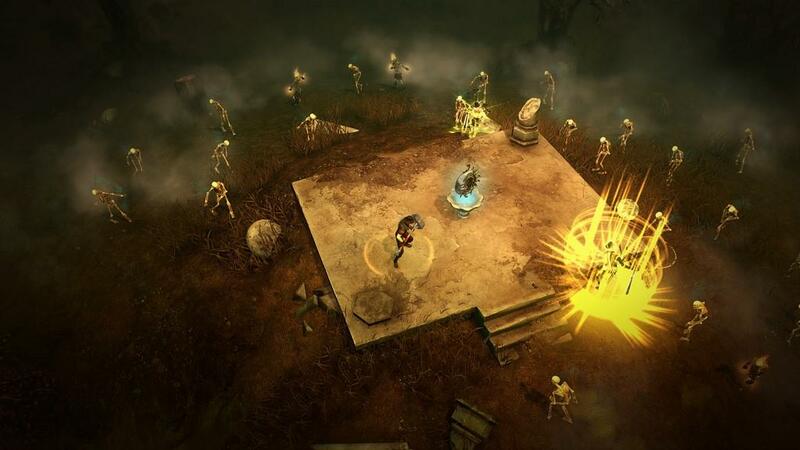 Yet the game faces tough competition in the action RPG genre with other games such as Diablo III and Path of Exile. Even if it doesn't have all the features of other genre titles, what it does contain is gameplay that is difficult to put down after hours and hours of slaying monsters, leveling up, and gaining more loot. The gameplay is great. But the narrative lacks the most fundamental elements of storytelling, especially when it comes to having a compelling protagonist or villianous enemies. The plot follows the typical fantasy tale of a kingdom under siege by evil in which a hero must come forth and save it from destruction. 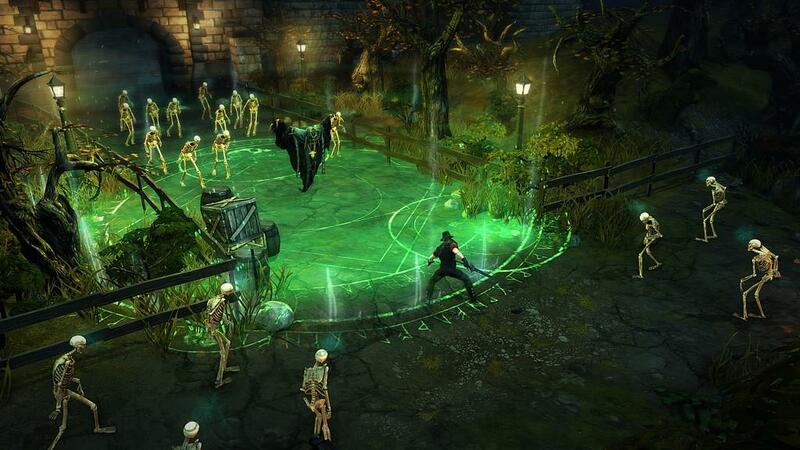 While there are a few twists along the way, it's better to just focus on the gameplay of leveling up Victor Vran and gaining better equipment. It was a welcome surprise that Victor Vran was voiced by Doug Cockle, the voice actor behind Geralt of Rivia from The Witcher series. After finishing the beginning mission, players are given access to a castle hub. This hub provides a multitude of services, including various shops and a transmutation table. There's also a map for selecting locations to visit for missions, or replaying previous levels for more points. The gameplay's draw focuses on challenges for each level that range from slaying a certain number of monsters to completing certain objectives in a set amount of time. For players that want to increase the challenge, they can enable various hexes that, for example, increase the movement and attack speed of monsters. Players that ignore the lackluster narrative and instead focus on the addictive gameplay will be in for an entertaining time. Throughout their adventures, players will travel to a variety of map locales that range from underground caverns to medieval city streets. The map in which players select levels to visit is extensive, providing plenty of opportunities for leveling and acquiring loot. The loot system, while not as extensive as games like Diablo 3, is separated into weapons, consumables, powers, destiny cards, and outfits. With weapons, players are able to instantly switch between two at anytime during gameplay. Weapons include normal fantasy swords and hammers, but also rapiers, shotguns, mortars, scythes, and even lightning guns. Consumables include the standard healing potions, but also various bomb types that can do devastating damage to enemies. Powers function as the player's skills, which can include launching meteors at the ground, or even transforming into a poisonous mist cloud. Players can eventually equip additional destiny cards that boost character stats and abilities. Lastly, outfits allow players to change their playstyle, as one might favor more health while another boosts certain abilities. One of the more surprising elements is how players are able to control their characters. While players can use the traditional action role-playing game control method of clicking everywhere, the game's default control scheme allows for use of the WASD keys for movement and combat. Skeptical veterans of the genre should give the WASD control scheme a try. It works well for the quick, action-filled gameplay. It's a stark contrast switching between Victor Vran and other action RPGs that don't support WASD. 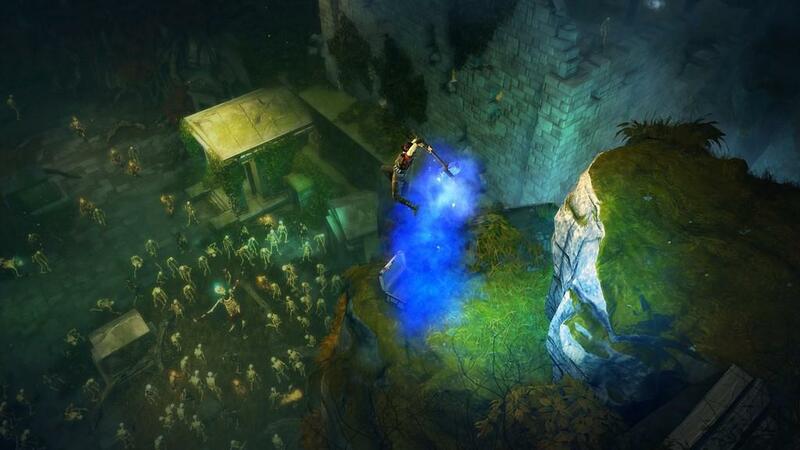 Another major change from other genre games is that Victor Vran can jump over obstacles and reach higher locations, often to gain hidden access to loot chests and such. Graphically the visual style does a nice job of rendering a fantasy world, but, unfortunately, doesn't contain anything unique or memorable. Even the enemy types in the beginning are the standard spiders and skeletons that, fortunately, do get more interesting in later levels. The best part of the presentation is how levels are designed to keep them interesting for repeat playthroughs. Players that enjoy exploration will like the many secret locations hidden throughout levels. In the sound department, the game's musical score and sound effects also do a nice job of setting the fantasy tone—but are nothing memorable. 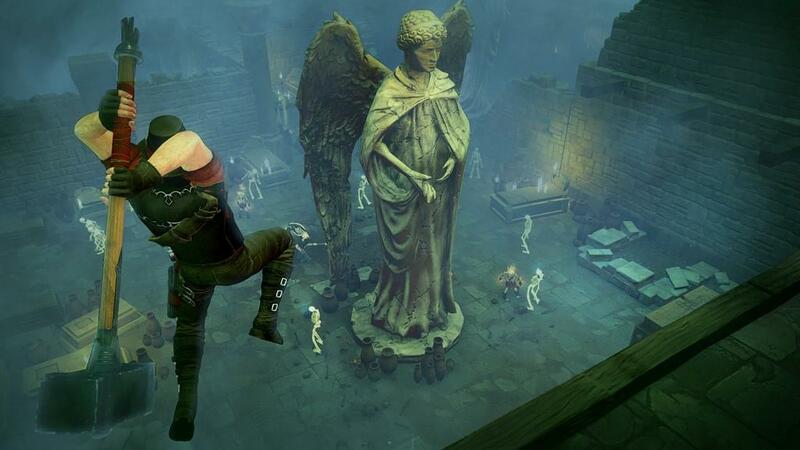 Players that get past Victor Vran's slow beginning will find an array of entertaining gameplay elements, especially for those players who enjoy finding better loot. A lackluster narrative and less than memorable fantasy setting are valid concerns, but neither take away from the addictive gameplay. The game's low asking price of $19.99 is even better, considering the wealth of content available. 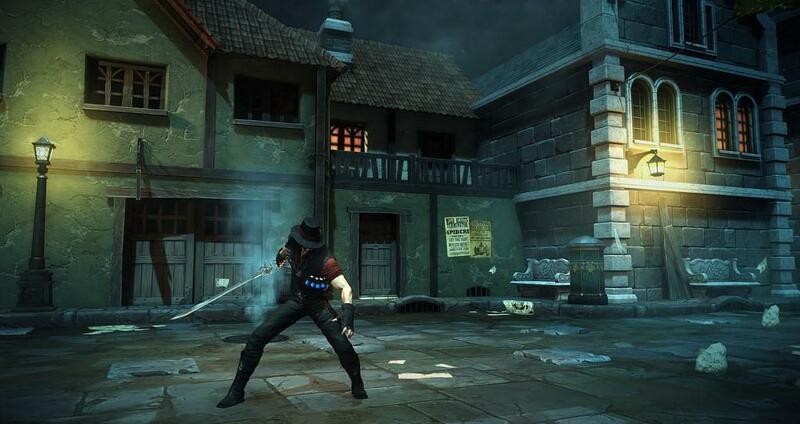 Victor Vran is highly recommended for all fans of action role-playing games.